Be the first to share your favorite memory, photo or story of Melva. This memorial page is dedicated for family, friends and future generations to celebrate the life of their loved one. Melva Jean Dunton was born the daughter of George and Thada (Boelman) Kuhlers in Cerro Gordo County on November 6, 1937 and passed away at home in West Des Moines at the age of 81 on Saturday, January 19, 2019. Funeral services will be at 10:30 a.m. Thursday, January 24, 2019 at Crossroads Evangelical Free Church in Earlham. Burial will be at 1:00 p.m. Friday, at the Merservey Cemetery in Merservey. Family will greet friends Wednesday, January 23 from 5-7 p.m. at Caldwell Parrish Funeral Home – McCalley Chapel in Adel. After graduating from Meservey High School, Melva attended Cosmetology School, and on January 18, 1957 Melva (Kuhlers) wed Gary Dunton in Meservey, Iowa. Gary and Melva were blessed with 3 children; Julie, Jon, and Jason. The happy couple enjoyed living in various places, including Hawaii, during Gary’s service in The United States Navy. In the early 1960s, Gary and Melva moved to the Des Moines area where Melva was a mother and a bookkeeper until their move to Diamondhead Lake in 1996. 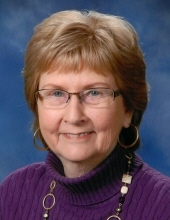 Melva spent her retirement attending her grandchildren's and great grandchildren’s sports and musical events, traveling, and volunteering at church. Melva was a member of Crossroad Evangelical Free Church. Her father, George Kuhlers; mother, Thada (Boelman) Kuhlers; husband, Gary Dunton; and grandson, Danny Dunton preceded Melva in death. Melva leaves the following family to celebrate her life; daughter, Julie Richards and husband Joe of Waukee; son, Jon Dunton and wife Shelley of Van Meter; son, Jason Dunton and wife Megan of Urbandale; sister, Janice Prestholt and husband Cleon of Indianapolis; sister Sharon Josten and husband LaVurne of Forest City; five grandchildren and eighteen great-grandchildren. To send flowers or a remembrance gift to the family of Melva Jean Dunton, please visit our Tribute Store. Cerro Gordo St and 1st St.
"Email Address" would like to share the life celebration of Melva Jean Dunton. Click on the "link" to go to share a favorite memory or leave a condolence message for the family.